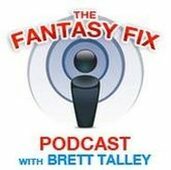 Host Brett Talley (@TheRealTAL) is joined by fellow Fix writer, Chris Garosi (@chrisgarosi). Chris and Brett discuss hot and slow starts both on the mound and at the dish. They touch on guys like Nate McLouth, Everth Cabrera, Matt Kemp, Yoenis Cespedes, Patrick Corbin, Clay Buchholz and many, many more.